The following numbers represent the current Foreclosure Sold Inventory data as well as the current “Active” and “Sale Pending” data for Bank Owned (REO) properties in San Ramon, CA 94582 & 94583 for the month of June 2011. Currently there are 27 single family homes active/pending with a high price of $929,000 and a low price of $390,000. 31 attached homes are also active/pending with a high price of $524,900 and a low price of $99,900. 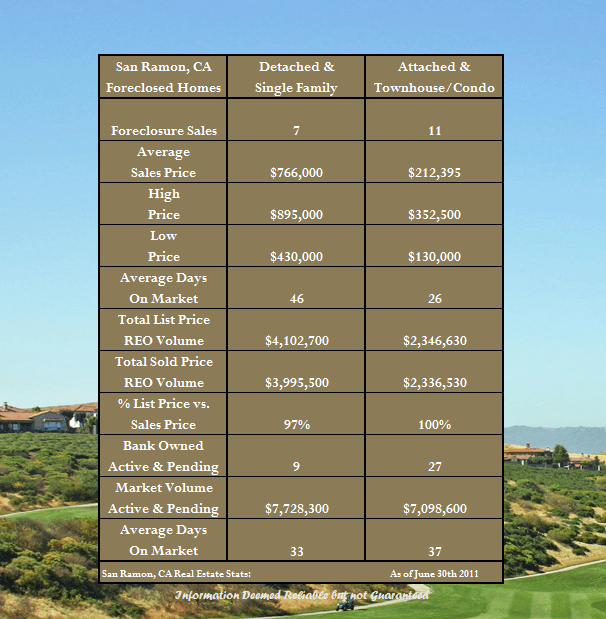 Share the post "Foreclosure Activity in San Ramon for June 2011"